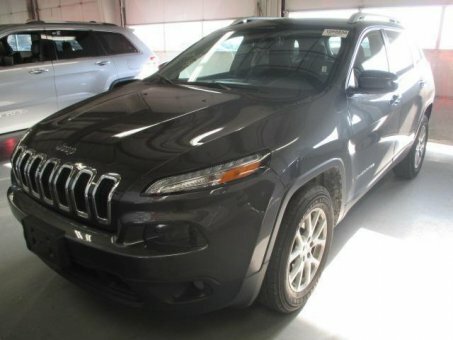 Discerning drivers will appreciate the 2015 Jeep Cherokee! Here's a vehicle which packs big-league power and versatility in a midsize SUV package. This model accommodates 5 passengers comfortably, and provides features such as: fully automatic headlights, a roof rack, and a blind spot monitoring system. It features a front-wheel-drive platform, an automatic transmission, and a 2.4 liter 4 cylinder engine.